Several years ago I was teaching at a university in Colorado and a small group of us were working to fan the fire of interest in existential psychology with some success. Each year, we brought Kirk Schneider to co-teach a seminar on existential psychology. Mark Yang began joining us from China, often with some Chinese colleagues. I fondly remember one evening having dinner with Kirk and Mark in one of my favorite restaurants in Manitou Springs. Our conversation drifted to the idea of being existential evangelists. The use of “evangelist” was, in part, in jest. Yet, the idea of this always stuck with me. 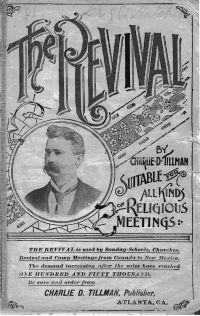 The idea of “evangelism” is generally connected with trying to convert people to a particular religious perspective, most often Christianity. As hopefully is evident, our use of the idea of being an “evangelist” was not intended to in any way to suggest we wanted to convert people to or from a religious perspective, but rather to draw people in to identifying as an existential therapist. A primary challenge of any type of evangelism is to try to convert or draw people in to affiliation with a perspective while being respectful of differences. Most people who know me at least fairly well recognize that I have a strong passion for the existential psychology. It is not just what I do in my professional world, it is part of who I am and part of my way of being. Yet, I firmly believe that the world would be worse off if everyone was an existentialist. There is beauty in diversity, and this beauty is important for the world. In psychology, the diverse perspectives are essential in being able to meet the needs of diverse clientele. The dialogue between different perspectives helps advance each while too much agreement easily falls prey to group think. The research on psychotherapy effectiveness suggests that all bona fide therapy approaches are about equally effective (Cleare-Hoffman, Hoffman, & Wilson, 2013; Elkins, 2009; Wampold, 2001). Yet, this does not mean that it does not matter what approach to therapy one provides. The research also suggests that believing in one’s approach to therapy is more predictive of successful therapy outcomes than what we do. Thus, having a therapy orientation that one believes in is vitally important in becoming an effective therapist. The client buying into the therapy approach is also an important predictive factor of therapeutic success, regardless of therapy orientation (Elkins, 2009; Wampold, 2001). I believe that this suggests that we should not be searching for which therapy is the most effective with which diagnosis or demographic, but rather which therapy is the best fit for a client’s values and desired way of being. If we can match the therapeutic approach that provides the best fit with who the client is, then it is more likely to be effective, and they are less likely to drop out of therapy. The different therapy approaches represent, at times, significantly different ways of being. For instance, Cognitive Behavioral approaches to therapy implicitly value a more rational approach to living that values thinking over feeling or experience. While some existential approaches can be fairly cognitive or rational as well, in general, existential approaches value a fuller and deeper embracing of one’s emotions as well as their thoughts. Obviously, there is much more to the similarities and differences than illustrated in this one simplified example, but it does give some perspective on the implications of different therapy approaches. As therapists, it is important for us to respect what could be termed “ontological diversity,” or different ways of being, and recognize the connection of this to different types of therapy or, at the least, different ways of implementing therapy approaches. This realm has largely been ignored as therapists go about imposing ontological perspectives on their clients without considering the implications of this and possibly without even recognizing that they are doing this. Respectful existential evangelism, or recruitment, recognizes and respects these differences while trying to avoid such ontological impositions. Evangelism is often associated with coercion, converting, or attempting to change someone’s beliefs and/or values. I have never had much interest in this. Thus, it might seem that I am a rather poor existential evangelist. However, instead of trying to convert people to an existential approach, my desire to is to speak passionately about existential psychology in order to attract people individuals for whom this is a good fit. When I have taught classes such as Theories of Personality, I will often state that I believe that I have done a very poor job teaching if everyone leaves the class identifying as an existential therapist. If all the students agree with me, I most likely have been more successful at coercion than illumination, which is never my goal. I deeply believe that existential psychology is important, and that it can play an important role for changing the world for the better. It is from this belief and the associated passion that I hope to draw people in to existential psychology. I am confident that I have been able to do this with at least some success in my career thus far. The best evangelism is not coercion or convincing others that one’s perspective is right or the best view; it is helping people explore their values and discover who they are. My experience is that when people are able to come to an understanding of what existential psychology represents as a way of being without the distortions of how it is often misrepresented, many find themselves deeply drawn to this approach. Yet, misconceptions about existential therapy are common and must be clarified. In the end, however, just sharing our passion and helping people understand the implications of existential psychology can be a very effective and authentic way of being an existential evangelist. Cleare-Hoffman, L., Hoffman, L., & Willson, S. (2013, August). Existential therapy, culture, and therapist factors in evidence-based practice. In K. Keenan (Chair), Evidence in support of existential-humanistic psychotherapy: Revitalizing the third force. Symposium presented at the 121st Annual Convention of the American Psychological Association, Honolulu, HI. Elkins, D. E. (2009). Humanistic psychology: A clinical manifesto. Colorado Springs, CO: University of the Rockies Press. Wampold, B. E. (2001). The great psychotherapy debate: Models, methods, and findings. Mahwah, NJ: Lawrence Erlbaum & Associates.